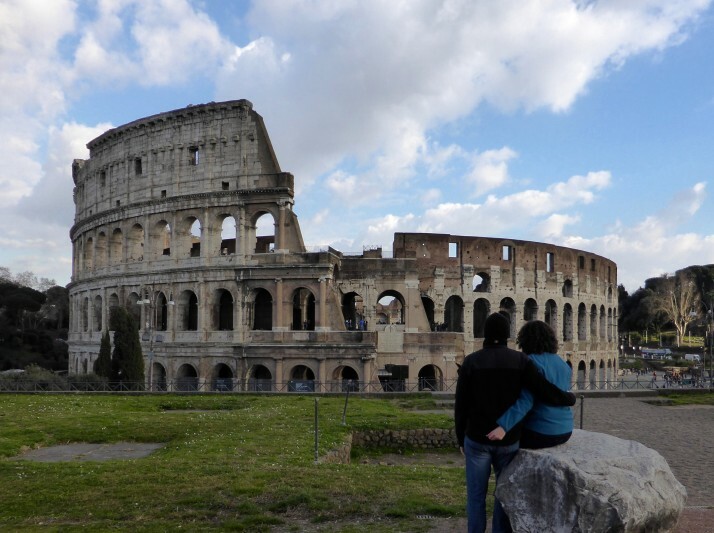 What photo takes you right back to Rome? The architectural symbol at the centre of Rome, the Colosseum. Summarise Rome in three words. Graffiti – it’s all over Italy, but we noticed it especially in the capital where most of what we saw was of a very high quality. Empire – at its height it reached from Iran in the east to Portugal to the west, the Roman Empire’s legacy lives on over 2,000 years later. Selfie – officially added to the Oxford English Dictionary 1½ years ago, Italy’s tourist sights, and Rome’s in particular are awash with street vendors offering selfie sticks. Every time they held out a telescopic aid and said “Selfie?”, the irony of it made us smile. Rome was also the first place we saw signs specifically banning their use too! .. you’re standing at the top of the dome of St. Peter’s Basilica in the Vatican City, with St. Peter’s Square below and Rome spread out in front of you. What one item should you definitely pack when going to Rome? A vivid imagination to recreate the grandeur when you’re standing in the centre of Ancient Rome. The remains of the buildings hint at their scale but we loved piecing it all back together – the Senate where laws were debated is still the model of democratic governance to this day, the Open Forum where grievances could be aired and decided on much like our modern court systems, and the circular Temple of the Vestal Virgins tending the eternal flame. Imagining the bustle really brought Rome to life. This entry was posted in Places and tagged Italy, Rome, Round Up on March 9, 2015 by Andrew.